Like it or hate it, the ‘notch’ is here to stay. With almost all major Android OEMs (barring Samsung and HTC) are adopting the notch in at least some of their devices, it’s no surprise that the design element that was once universally reviled, is now being rumored to start showing up even in Android One devices. According to Android Headlines, Lenovo is working on a new Android device called ‘Motorola One Power’ that will reportedly be the first Android One smartphone to sport the increasingly popular design element that was first seen on the Essential Phone, but was popularized by the iPhone X. Either way, AH claims that this is an official render, and that, it has been shared by ‘a reliable source’. ‘Motorola One Power’ will be an interesting device, and not just because of the notch. That’s because, if the report is to be believed, the One Power will mark a return of the ‘Motorola’ brand after the company exclusively used ‘Moto’ to market its smartphones over the past few years. But while the Motorola branding will seemingly make a comeback with the new device, it will be interesting to see what happens to the ‘Moto by Lenovo’ tagline. As far as the design is concerned, the notch seems taller compared to what we’ve seen on some of the other Android devices, and there’s also the ‘Motorola’ logo on the bottom bezel. The device also seems to have a dual camera setup on the rear, with the brand’s ‘M’ logo emblazoned on what looks to be a fingerprint scanner. There’s not a lot of info at this stage about the Motorola One Power, but AH says that the device will be sold in the US at a price of around $400. The site also says that it may be a re-purposed Moto X5, although, there’s no real concrete info to base that on. 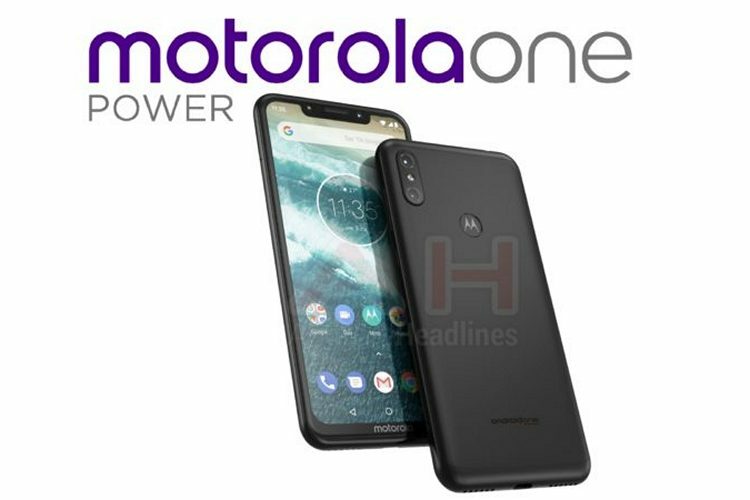 Either way, the Motorola One Power may well be an interesting device, so it will be interesting to see how this plays out going forward.